WordPress CMS is a great way to create your own website. 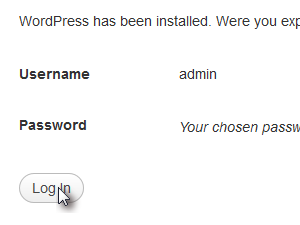 We will download Wordpress and install it on a web server. You need a domain, web hosting and Control Panel and FTP access to the web hosting server. We will create a fully functional web site with CMS (Content Management System). 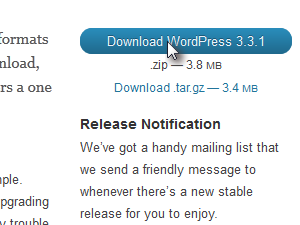 Click here to go to WordPress download page and click Download WordPress button. 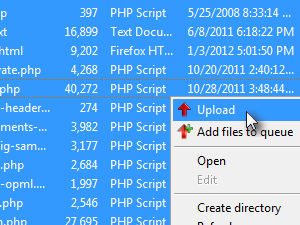 Extract the downloaded wordpress zip file. 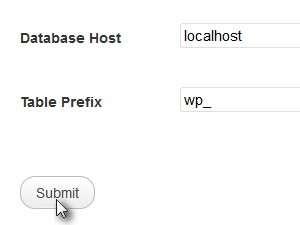 Transfer the files from the extracted wordpress folder via FTP to your web hosting server. Usually you have to transfer the files to /public_html folder on your web hosting server. 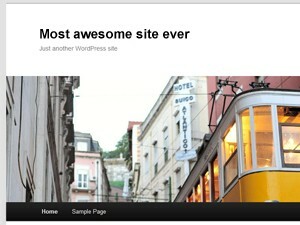 This way your new site will appear on your url, for example http://www.mynewsite.com. Transfer the files and not the folder wordpress itself. In case you want your site to appear on http://www.mynewsite.com/blog, you need to create a subfolder named blog in /public_html/ and transfer files to /public_html/blog. 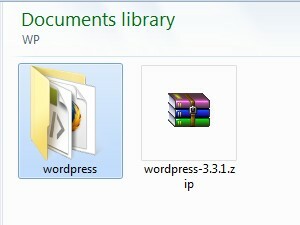 Or you can transfer the folder wordpress to into /public_html folder and then rename the /wordpress folder to /blog. If you're not sure how to transfer file via FTP click here for a FilleZilla ftp client tutorial or click here if you are a Windows 7 user and you don't want any third party ftp programs. We need to create a new SQL Database, so all the data you will put on your new website will have a place to get stored in. 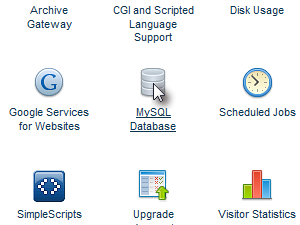 Login to your web hosting Control Panel (cPanel) and find MySql Database option. 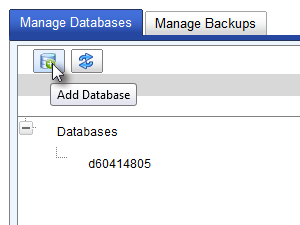 I'm using a Netfirms.com hosting, but all the better hosting providers should have a similar user interface, if you're not sure where your SQL data base settings are, just use our forum and we'll try our best to help you. Click the Add Database link. Could be a New Database or similar as well. 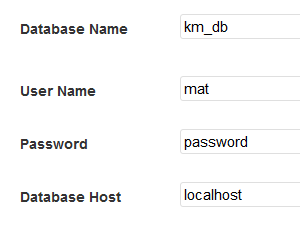 Enter Database Name, a database Username and two time a password. You can choose whatever you like for this entries, no spaces between letters though. Remember or write what your entered as you will need this in steps to follow. Now open a new browser window or a tab, enter url to your website and add /wp-admin/install. For instance: http://www.mynewsite.com/wp-admin/install.php if you transferred all the file to your root (/public_html/) folder or enter http://www.mynewsite.com/blog/wp-admin/install.php if you transferred the files into a blog subfolder (/public_htm/blog). 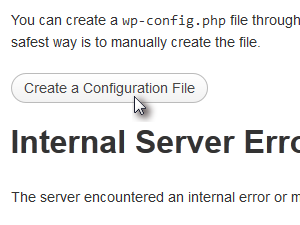 Don't worry if you get a Internal Server Error, it's due to the fact we didn't prepare a wp-config.php configuration file. Just click the Create Configuration File button (see picture). 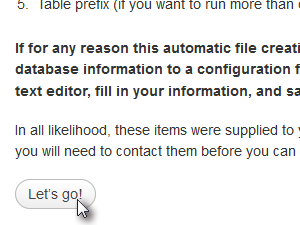 ... leave the Database Host and Table Prefix as it is and click Submit. If you get the same Error Establishing a database connection error as I did, click Try again. You will need to find your Database host address. 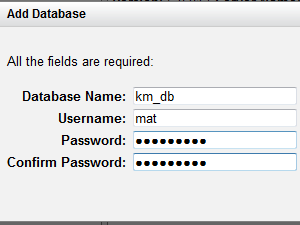 It should be somewhere in database settings from the Step 4 of this tutorial. Go back to your web hosting Control Panel window or tab. 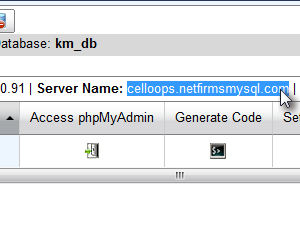 I found it in my MySql Database settings next to server name (see picture). 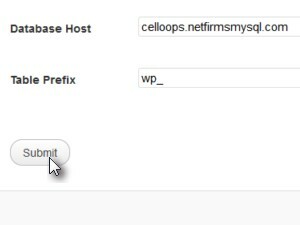 Write it down (or select and copy it with Ctrl + C) ..
Return to your wordpress installation site and enter (or paste Ctrl + V) the database server name to Database Host entry field (see picture). If all the data you entered is correct, you should now see a ready for the installation page and click Run the install (see picture). 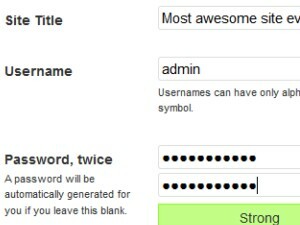 Now enter a title for your site, an administration username (you can leave the admin) and a password to your new sites administration panel. This is your new website administration username and password. You will need them to customize and edit your website and your website content. Remember them! 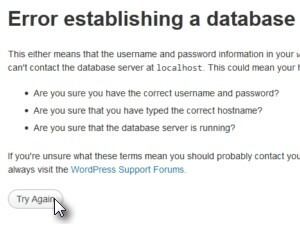 and don't confuse them with the database username and password you have set in Step 6 of this tutorial. Enter your e-mail (in case you forget your password) and choose Privacy setting if you want your new site to get indexed by Google (you probably want that, right?) so the people will be able to find you on Google search. 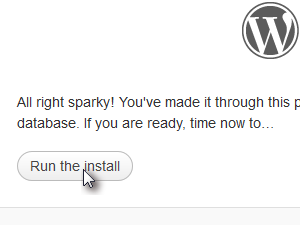 When done, click Install WordPress. 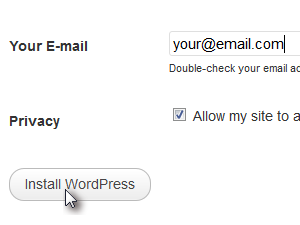 Your new WordPress website should now be installed. 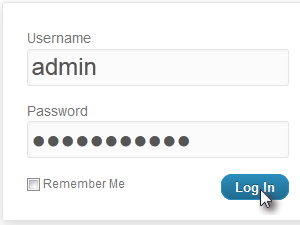 ... enter username and password you defined Step 16 and click Log In button. And you should now find yourself in a Dashboard of your new WordPress Website. 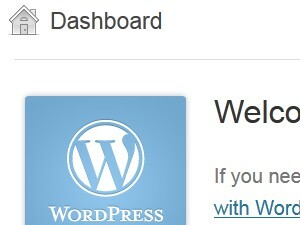 If you enter the url to your new WordPress website, for instance http://www.mynewsite.com you will land on a default WordPress template with the Title you defined Step 16. 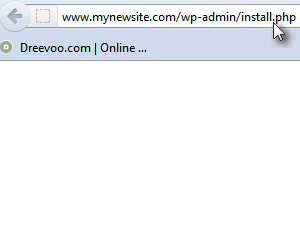 Remember, http://www.mynewsite.com/wp-admin/ is url to your website administration dashboard panel. In tutorials to follow I will show you how to customize your new WordPress website, how to apply new themes and much more. For the how to install and apply new Wordpress themes for your website, click here. If you're experiencing any trouble whatsoever while going through this tutorial, please do not hesitate and use the Forum.